Passover with Chabad Lubavitch of Alexandria-ArlingtonJoin us for a fun, meaningful Passover experience! 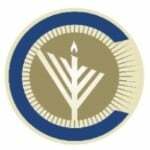 Community Seder, Order Matzah, Sell your Chametz and more! Details here. Chai ClubThe Chai Club is comprised of individuals committed to the financial support of our center. Monthly donations in multiples of $18 add up and make a great difference! Join here!